The Pro-Brexit Labour Gatekeepers, From Milne to McCluskey. There is anger in the labour movement that a small group of pro-Brexit people are making party policy on Europe. A senior union source said McCluskey seemed to be trying to bypass Labour party and TUC policy, which was to insist on a customs union and close involvement in the single market. “History will damn the treacherous moves to sideline the rest of the trade union movement and frustrate Labour party conference policy,” said the union official. Ana Oppenheim, an organiser for the leftwing anti-Brexit movement Another Europe is Possible, who is also active inside the pro-Corbyn grassroots movement Momentum, suggested any Labour MPs who refused to do all in their power to block May’s Brexit should be deselected. There are claims that Corbyn has difficulty dealing with anybody with disagrees with him. The highly articulate and focused Keir Starmer, the Shadow Brexit secretary, would normally be expected to have been at the meeting with the Prime Minister. But apart from the differences PE outlines he is reported to back free movement, something the Lexit (pro-Brexit) left are dead against. Having the unelected Milne in such a strategic position at the Downing Street and inside the Party means – the anti-Brexit internationalist left alleges – that attempts from inside the labour movement to reach a deal are reaching a critical point. Four union leaders, including Len McCluskey of Unite, had one-on-one talks with the PM in Downing Street last month. Britain’s biggest union has left the door open to another referendum on the government’s Brexit deal. Unite, Labour’s most generous donor, also said it was highly unlikely that Labour would vote for Theresa May’s deal on leaving the European Union. The development is being interpreted by some observers as an incremental move towards accepting a second referendum, and could increase pressure upon Jeremy Corbyn to do the same. It also makes it clearer than previous statements that Labour may well vote against the EU withdrawal agreement. Earlier this year, senior frontbench figures including the shadow foreign secretary, Emily Thornberry, were arguing that it was likely that Labour would vote in favour of the deal. In a statement issued at the union’s annual conference in Brighton, the executive said: “It remains highly unlikely that the final EU-UK Brexit deal due to come to parliament in the autumn 2018 will satisfy the criteria that Unite and the wider labour movement, including the Labour frontbench with its six tests which must be met, have set. It is understood that Corbyn’s office insist they are relaxed about Unite’s policy development. UNITE threw its might behind Labour leader Jeremy Corbyn today, vowing to get him into No 10 as the union said No to a second referendum on Brexit. Speaking at the union’s biennial policy conference in Brighton, general secretary Len McCluskey took aim at the media misrepresentation of the union’s position on a second referendum, telling delegates: “Let me be clear – we are not calling for a second referendum. His attack was aimed at a poll briefed to the press last week by anti-Brexit organisation Open Britain, which claimed that a majority of Unite members do not trust Labour leader Jeremy Corbyn on Brexit and desire a second referendum. The union’s executive statement condemned the government’s “abysmal” handling of Brexit negotiations and advocated Britain’s “barrier-free” access to the single market as well as securing a customs union with the EU. As it remained “highly unlikely” that the final Brexit deal negotiated by the Tories will satisfy Unite members, the union’s priority will be to “force an early general election which can lead to the election of a Labour government” which could “reach a better deal with the European Union” and improve British-European relations. Mr McCluskey warned of the dangers of a no-deal “cliff-edge” Brexit and said that the British people voted to leave the European Union, not for increased unemployment or the erosion of social rights. Mr McCluskey condemned the “shadow of job losses” hanging over the heads of Unite members and criticised Prime Minister Theresa May’s “nightmare of uncertainty” in her Tory Brexit plan. “Theresa May has lost all authority, she has lost all capacity to make decisions, or all power of initiative,” he said. “She is being held prisoner by the dogmatists and fantasists of the far right. Delegates engaged in debate over several hours about their attitude towards a Britain outside of the European Union. This was the occasion for the Morning Star to give a voice to those who agreed with its pro-Brexit policies. But Mick Graham, convener of the Land Rover plant in Solihull, also reminded delegates that “we are internationalists, and we must reaffirm our commitment to solidarity across all borders. it remains highly unlikely that the final EU-UK Brexit deal due to come to parliament in the autumn 2018 will satisfy the criteria that Unite and the wider labour movement, including the Labour front bench with its six tests which must be met, have set. At such a moment Unite will mobilise against the deal. Our priority will be to force an early general election which can lead to the election of a Labour government which would, among other things, reach a better deal with the European Union and improved relations with Europe all round. We are also open to the possibility of a popular vote being held on any deal, depending on political circumstances. Within these principles, the Executive Council has authority to respond as it thinks best to a fast-changing political situation. deliver barrier-free access to the Single Market to ensure ongoing exchange of the goods and services which thousands of our members’ jobs rely on. enshrine and enhance working rights, social and environmental protections which are currently based in EU law. These must be transferred into UK law through primary legislation, open and democratically. not undermine the Good Friday Agreement or the economic integrity of the island of Ireland. There must be no hard border between the Republic and the north. protect the integrity of Gibraltar and the right for Gibraltarians to determine their own future. grant the immediate and guaranteed right to remain for European citizens in the UK and their dependents and secure the rights of UK citizens working in other EU countries. retain membership of beneficial European-level institutions or regulatory bodies which are vital to our industrial sectors such as the European Aviation Safety Agency (EASA), ECHA (REACH) and Euratom. And, ” it remains highly unlikely that the final EU-UK Brexit deal due to come to parliament in the autumn 2018 will satisfy the criteria that Unite and the wider labour movement, including the Labour front bench with its six tests which must be met, have set. At such a moment Unite will mobilise against the deal”. So in other words, Brexit is a disaster. UNITE policy is not that of Trade Unionists against the EU and all the other Lexiters’ who say, “Embrace Brexit and Shape the Future”. Opening up to a possible challenge to the whole process of leaving the EU, and negotiating new world trade deals with the such as Donald Trump, is bound to be complex. But as commentators have remarked, this statement reflects a ” a shift in tone” away from a pure and simple acceptance of Brexit as a fact. As does the reminder that the union is not going down the path of a national go-it-alone ‘Lexit’ (left Exit). As Unite says, “The global trade union movement must respond to these historic challenges by renewing our fundamental principle of internationalism, while offering working people a genuine route for taking control of their own lives, in the workplace and beyond. The immediate issue is how to best oppose the way Brexit is unfolding within the context of the need to elect a Labour Government. Not at all the ringing rejection of a new Referendum that the Pro-Brexit Morning Star would wish. Nick Cohen Goes Woodrow Wyatt in Hatred of Trade Union UNITE. New Mentor of Nick Cohen. :The Voice of Reason. 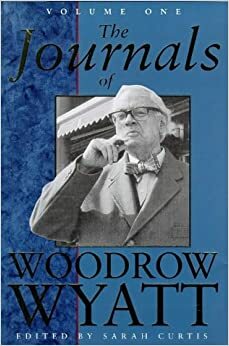 Younger readers may not recall Woodrow Wyatt. He was a one time left-winger who went to the far-right – several-snouts in the trough along the way. His favourite mode of attack was the vicious assault on Trade Unionists, and above all their leaders. Nick Cohen has just taken several leaves from his book. Labour must understand that Unite is its enemy. Labour has just lost an election it could have won, in part because Unite helped foist it with a useless leader in Ed Miliband and an equally incoherent programme, which failed to convince millions of voters to rid themselves of a mediocre Tory government. Yet despite all of the above, there is no self-criticism from Len McCluskey on how he got the Miliband years so badly wrong. Worse – far worse because it matters more for the future of Britain – there is no honest examination of the failure of unions to recruit among the new working poor either. McCluskey keeps saying he wants to stand up for ‘ordinary working people’ when he can’t persuade ‘ordinary working people’ to join his trade union. He keeps saying he wants to fight the hated Tories, while striking sectarian poses that will stop Labour building broad alliances with everyone from the church leaders to Liberal Democrats, who might take Cameron on. 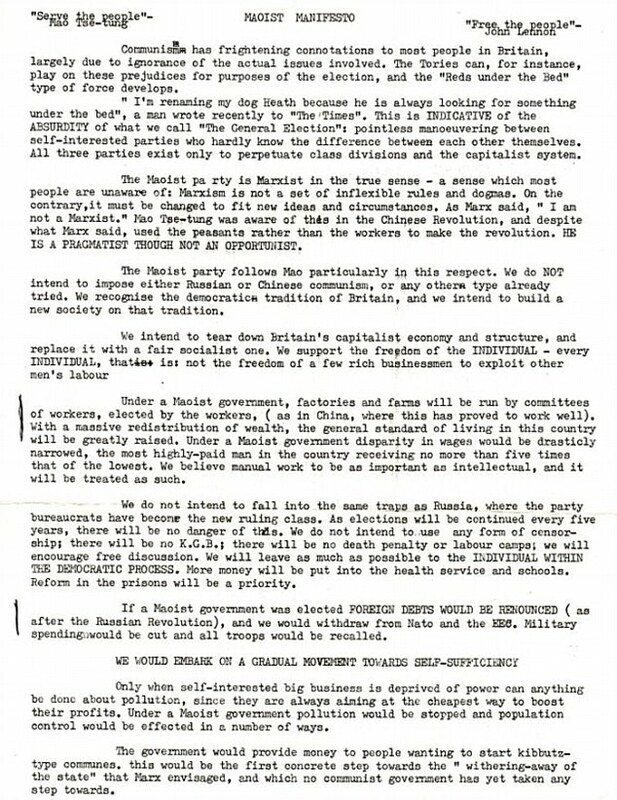 Oddly this “sectarian attitude” about alliances with ‘church leaders’ does not strike our young Woodrow Wyatt, did not prevent the union from working with the Living Wage campaign in London, set up in alliance with religious figures. In Tower Hamlets in the East End of London Lutfur Rahman funnelled public money to his client Bangladeshi voters. (Imagine for a moment the cries of ‘apartheid,’ if a Conservative or Ukip council followed a ‘whites first’ public spending policy.) He persuaded 101 Muslim clerics to instruct their credulous flocks to vote for him, and engaged in widespread electoral fraud. But even after an electoral court revealed Rahman’s corruption, McCluskey still backed a crooked demagogue, who exploited racial and religious prejudice, in his fight against the official Labour candidate. I’d suggest me learned friends have a look at this claim, which I would dispute. Despite having used its influence to rig selections and having Unite sponsored Labour MPs in Westminster, I suspect what Unite – or rather the McCluskey faction within it – dreams of establishing a new pure party to the left of Labour. He certainly has the men to do it. “to allow Unite to flaunt its contempt for the party? Is it going to say, like a woman frightened of independence, that it cannot imagine surviving without McCluskey’s money, however badly he treats it? Will it bite its tongue, and hope that he will change? Or is it going to stand up for itself and show him the door? I voted for the leader of UNITE, in a democratic and fair election. Is Cohen going to treat me and my comrades with contempt? I voted for Ed MIliband as an individual union affiliate. The work that we all did to try to get Labour elected. I once saw Wyatt, head of a senicure that Thacther secured him.at a Tote Silver Ring meeting (me mate Stuart had won tickets to the Cheltenham Gold cup). He had his snout buried in the roast beef. Such is the future that predict for Nick.